Hours: The Center is open daily from 10 a.m. to 5 p.m. between Memorial Day and Labor Day. Description: The first U.S. military post west of the Missouri River, Fort Atkinson was established in 1820 on recommendation of the Lewis and Clark Expedition. Located at Fort Calhoun, the fort was important to the early fur trade, river traffic and Indian relations. It was an active fort until 1827. Much of the historic outpost has been reconstructed, and interpretive work continues. 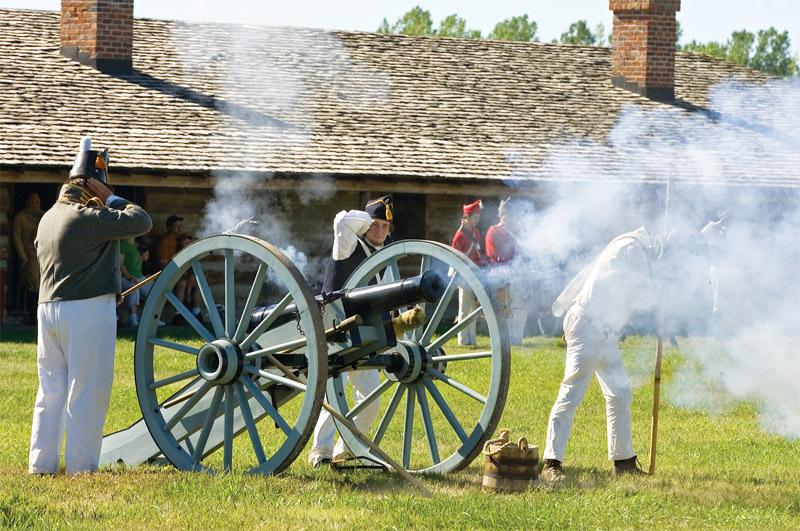 Living history demonstrations are scheduled periodically during the summer. 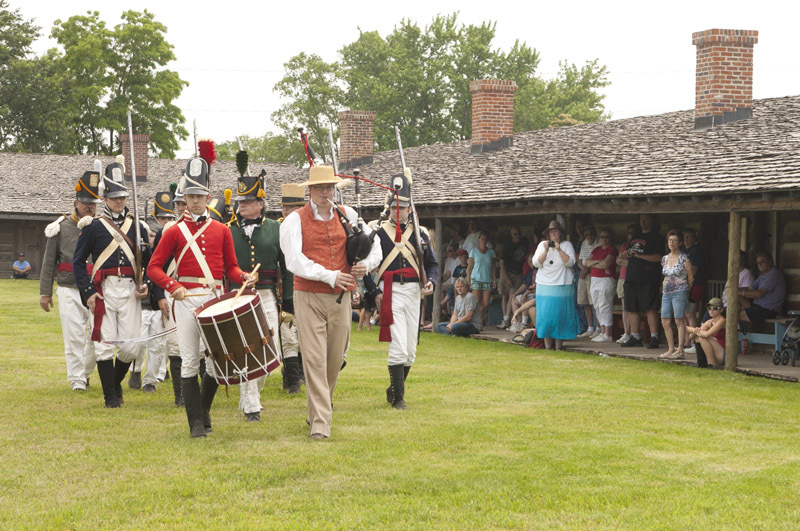 Fort Atkinson had its genesis with the Lewis and Clark Expedition in the early 1800s. After stopping in the area, Clark noted in his journal that the site provided a very suitable location for a fort. 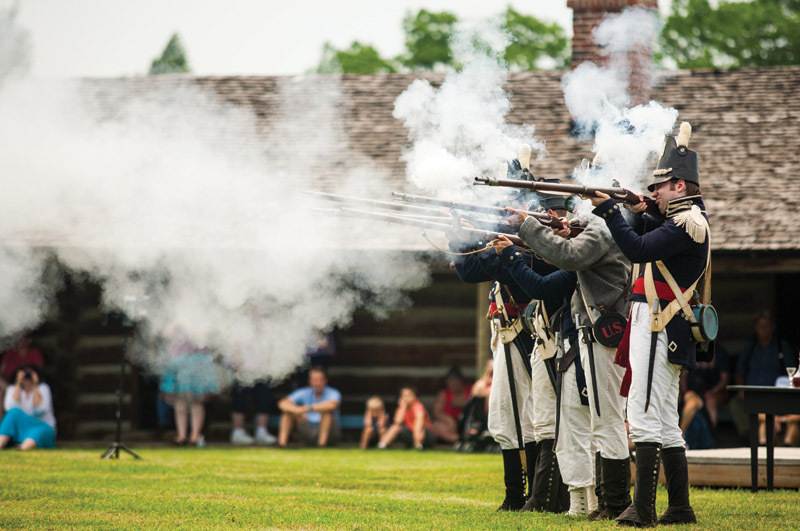 More than a decade later, Fort Atkinson was established. It was a large garrison: at its peak, it held nearly one quarter of the standing U.S. Army, approximately 1,200 soldiers. The fort protected the growing western fur trade, and as the only governmental authority in the vast territory west of the Missouri, it also enforced peaceful relations between traders and the Indian tribes of the region. It operated from 1820 to 1827. After the Army realigned its forces to the south, Fort Atkinson was abandoned, and the area converted to farmland. In 1961, local concern prompted a drive to preserve and restore the area. The Nebraska Game and Parks Commission purchased the land two years later, and undertook a 20-year effort to reconstruct the fort. Today, much of the fort has been rebuilt, including barracks, gates, an armorer’s shop, the council house and the Sutler Store. Fort Atkinson on Fourth of July weekend. Soldiers firing their muskets. Nguyen, July 6, 2013. Copyright NEBRASKAland Magazine, Nebraska Game and Parks Commission. Fort Atkinson on Fourth of July weekend. Soldiers marching.